In July 2017, Cabo VIP Rentals was proud to join in the cause of raising funds for the North Eastern Ontario Kids (NEO Kids), which is a hub specialized just for child care located in Sudbury, Ontario. Now an annual Sudbury classic, the NEO Kids Golf Tournament takes place at the Idylwylde Golf and Country Club and has raised $375,000 since its inaugural 2015 tournament. 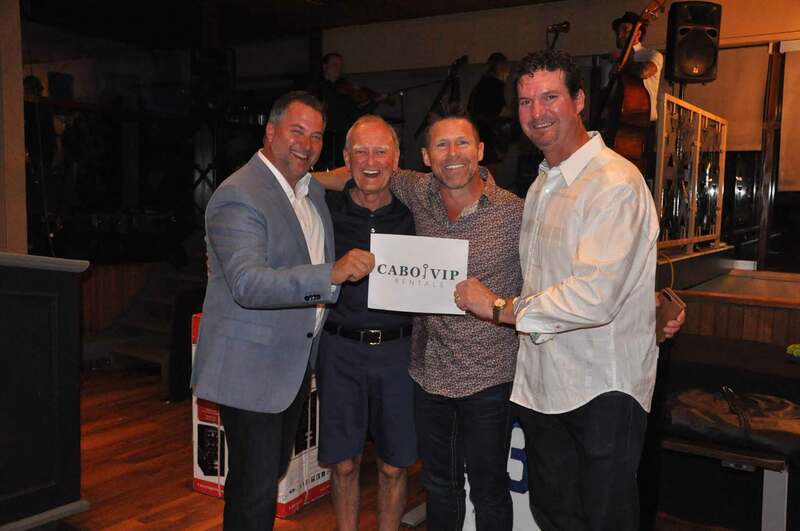 Cabo VIP Rentals donated a prize package which contributed to the $135,000 raised for the kids this year. The Cabo VIP Rentals prize package was such a hot auction item, a second package was added to help raise more money for the kids! Congratulations to our winners Fred Fortier (second from left) and Andre Michon (second from right), enjoy your trip! Pictured with our winners is Vince Palladino (far left, tournament chair) and Brian Savage (far right, former tournament chair).